BOSTON — Like every other runner in the Boston Marathon, Rachel Hastings experiences many challenges on the road to running in the marathon, but she also faces one that many other runners don’t: Hastings was born legally blind. This did not stop her from taking second place in the women’s visually impaired division at the age of 26 in last year’s Boston Marathon. 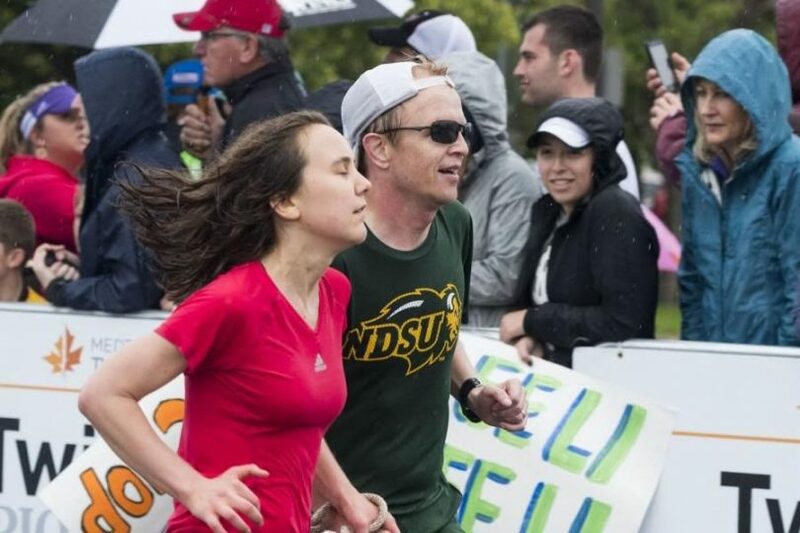 Hastings qualified for last year’s Boston Marathon in her first marathon ever in her home state of Minnesota. 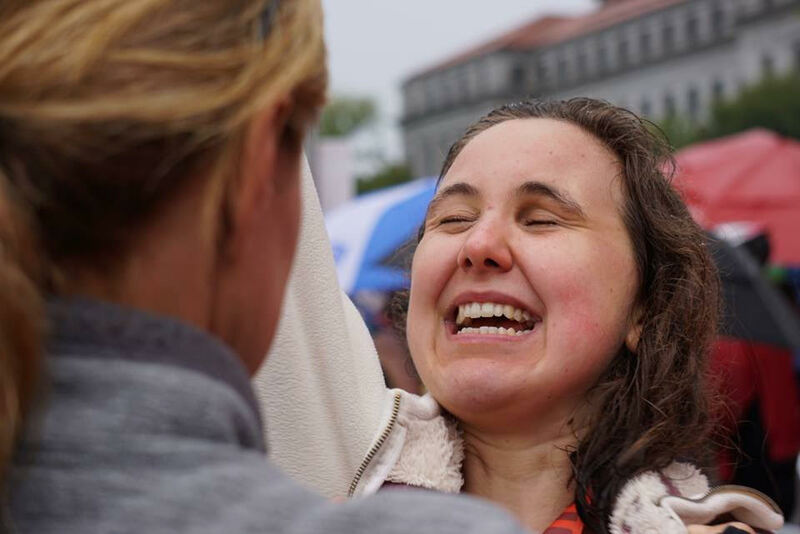 Although she was nervous about the unfavorable weather conditions during the race, she said she felt a “grace from God” that got her through the last five miles. It was very difficult, she said, but she ended up taking 10 minutes off her first marathon time. Hastings first began running at 14 years old. She said she was disappointed because she was not able to participate in the team sports that her friends were a part of. She said she wanted to be fit and athletic just like everyone else. Her mother motivated her to start running. In the beginning, Hastings said she hated every part of running. She complained every time she went out to run. Her mother once told her: “If you are going to commit to something, you need to keep doing it.” As Hastings continued to run, she said realized she loved running. Hastings, who said she likes to inspire people, also said she had to learn how to do things that make her afraid. Last year, Hasting’s was contacted by the Massachusetts Association for the Blind and Visually Impaired (MABVI) to run with Team With a Vision in the Boston Marathon. 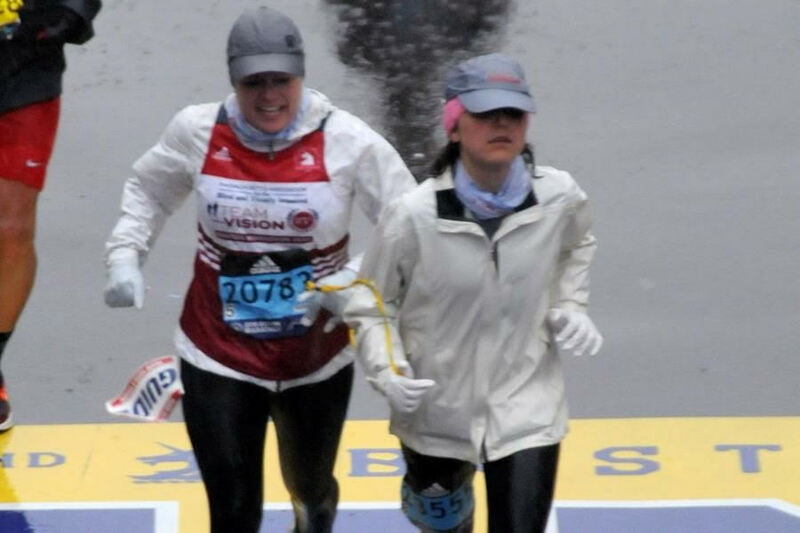 Team With a Vision is a program within MABVI that connects blind and sighted runners to support individuals throughout Massachusetts living with vision loss. Hastings said she was impressed by the organization’s accomplishments and what it stood for. Now, every time she runs in Boston, she said she wants to represent Team With a Vision. This year, she decided to start fundraising to support the organization. David Brown, chief advancement officer at MABVI and community services, said Hastings and other members of the blind and visually impaired division are not different than other runners in the marathon. Brown said Hastings has a contagious effervescence — an ability to connect people who may not think the same way. Tom Lindsay, Hastings’ service guide for the marathon, said he met Hastings a year and a half ago through the Achilles International chapter in Minneapolis. One of the main things he said strikes him is that many people assume Hastings is a slow runner because of her disability. Amid Minnesota winter storms, Hastings trained outdoors in 20 mile-per-hour wind and somtimes contracted frostbite. Other times, she had no choice but to run 26 miles on a treadmill for race prep. It is this training that she said allows her to stay mentally strong during races.